Delegates will be interviewed by each of the high profile Guest Judge’s. This will be the first chance for the Judges to meet and greet the Delegates (dressed in their choice of casual clothing) in a CLOSED (to the public) environment. 3) Swimwear The Swimwear category will be judged and marks scored will be based on the Presentation, Cut and Style of the fabric. The entrants will be escorted one by one to a designated area, where they will introduce themselves in front of a panel of judges before leaving. 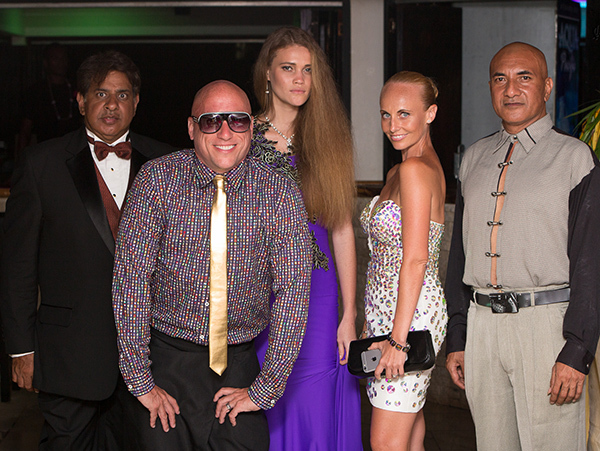 The judges who sealed the fate of the 8th World Supermodel winner included (L to R): Sanjay Chadha, the CEO and founder of Cerno Technologies; Duane Gazi-White, the Director of Scouting for Trump Models; Philippa Steel, Fiji’s first Supermodel discovered by the world’s leading model agency Trump Models; Natalie Marletta, the General Manager at the Pearl South Pacific Resort and Aisea Konrote, Fiji fashion designer.